It’s night time at Kadic Academy. Everything seems calm in Odd and Ulrich’s room, until a beep is heard. It’s a Tamagotchi belonging to Odd that wants its master’s attention. We also see Jeremy’s computer doing things the brainiac doesn’t know about, as he is fast asleep. The next day, Odd is astounded: his Tamagotchi has disappeared! It’s nowhere to be found in his room. Odd becomes angry and convinces his friends to search high and low with him for his little creature he named Jean-Pierre. Jean-Pierre Delmas is facing graver problems. Two men in black arrive at Kadic and enter into a violent interrogation with him. They accuse him of terrorism and having hacked ultra-confidential data. They reveal they’re part of a top secret organisation, and even they do not know who they really are or what they really do. They show Mr Delmas the number of the telephone line the hacking was launched from; it comes, of course, from Jeremy’s room. Hearing Jeremy talk about Jean-Pierre (Odd’s Tamagotchi), the suspicions against the principal increase. Jim is finally sent to place a tracker on Jeremy, allowing the two agents to follow him. The Superscan suddenly sounds: a tower has been activated. The heroes go to the factory fearing a disaster and Jeremy virtualises his companions without knowing that the men in black are already on their way to the factory. Arriving at the scene of the attack, the heroes realise that the tower isn’t activated at all, the white halo of Franz Hopper still lingering… XANA has once again bugged up the Superscan. Believing it can’t be good, Jeremy decides to bring his friends in quickly. But he doesn’t get the chance; the men in black burst in and stop him from pressing any more keys. One of the two men takes him back to Kadic with the principal while the other stays with Jim to gather evidence. Cooped up in a room, Jeremy is accused of hacking he had never done. Suddenly, the computer sounds: a tower has been activated for real in the Mountains. The others, waiting patiently in the Ice Sector, worry about Jeremy’s absence. Ulrich asks Odd to devirtualise him. Upon returning to Earth, he comes face-to-face with Jim and knocks him out. He then discovers the secret agent and hides. Jim comes to and asks the agent to come with him to the scanner room. 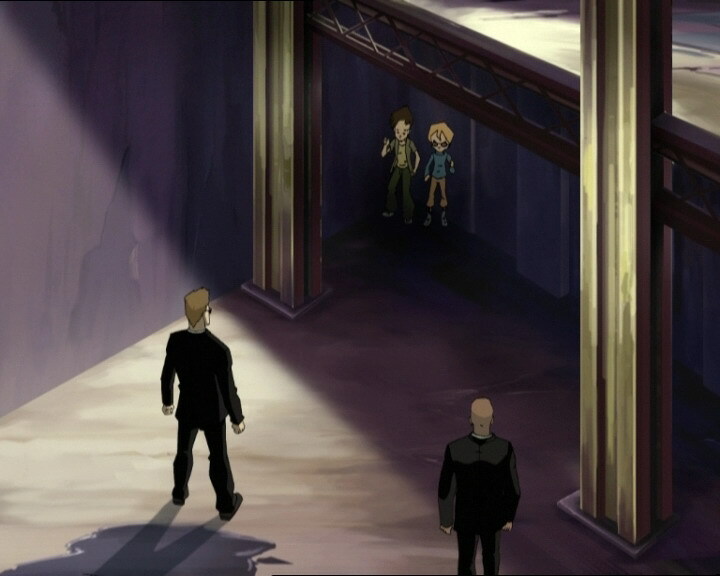 Ulrich then warns his friends about the man and that Jeremy has disappeared. 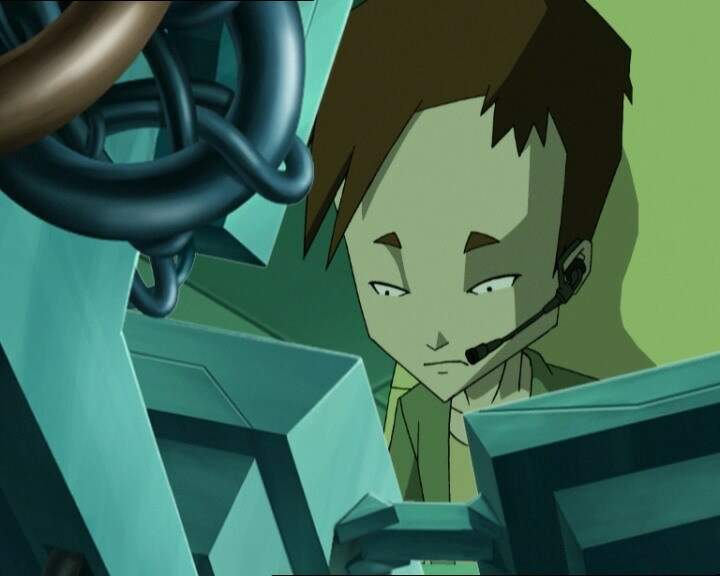 Guided by Aelita, he tells them where to find the tower using the Superscan. On Earth, the attack is realised: the two agents are XANAfied. At Kadic, the first agent tries to electrocute Jeremy who flees for the factory. The principal courageously intervenes, but unsurprisingly, is thrown into a wall. At the factory, the second agent disconnects one of the scanners, sending Jim out of his way with an electric shock. Ge then goes down to the Supercomputer room and attacks the machine with lightning. 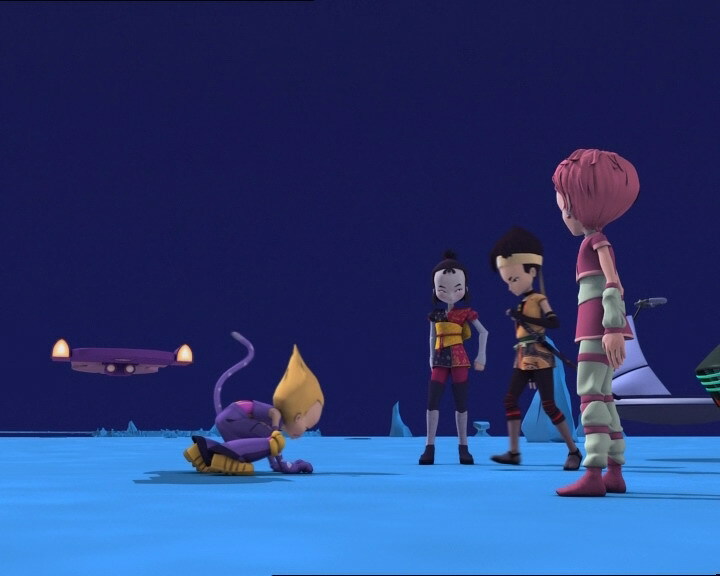 On Lyoko, the anxious superheroes notice that parts of the Sectors are disappearing and that if they run out of life points, they have no chance of returning to Earth. In the Mountains, three Megatanks guard the tower. A fight starts. 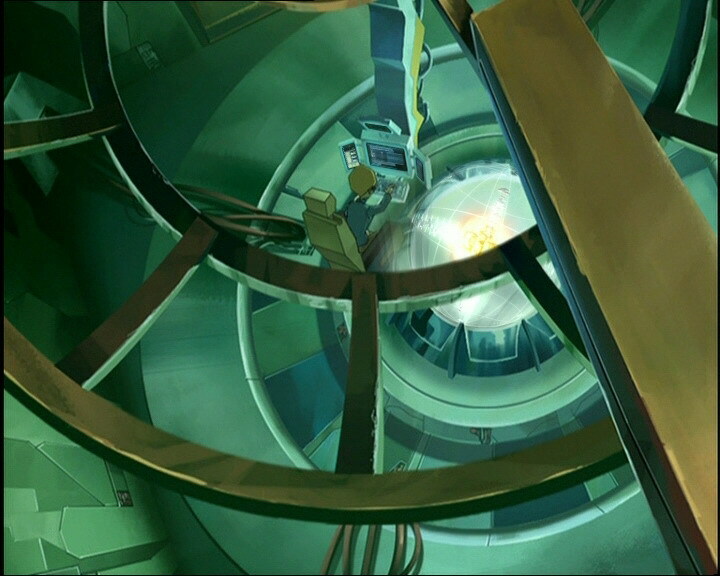 In the factory, Jeremy tumbles in, followed by the first agent while the second, leaving the Supercomputer’s destruction for a bit, attacks Ulrich. The two kids have some strong opponents! Even a heroic intervention from Jim can’t get them out of trouble. 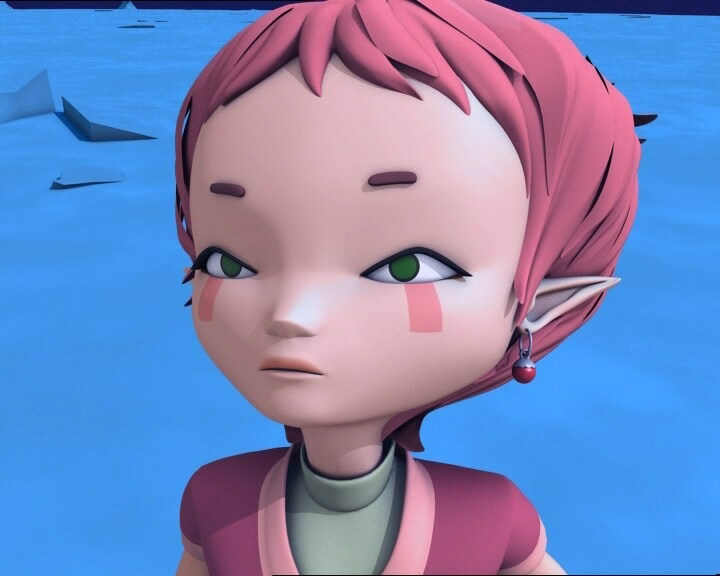 Using each of their abilities to their full extent, Aelita especially, the heroes finish off their tough opponents. 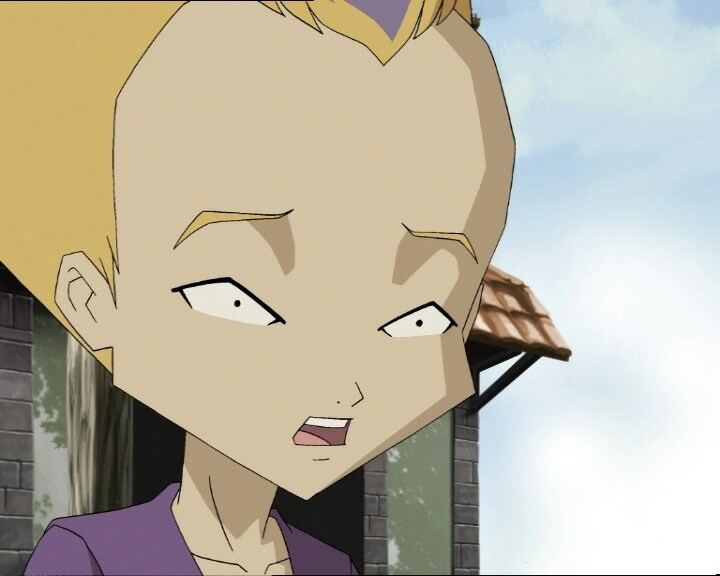 As usual, Aelita deactivates the tower. Jeremy, saved from the XANAfied agents, goes down to the lab and launches the Return to the Past to repair the damage caused. Jim will once again witness the event. Later, Odd discovers, after setting up a camera in his room overnight, that the thieves who took his Tamagotchi are none other his own friends. They say they did it for his own good. 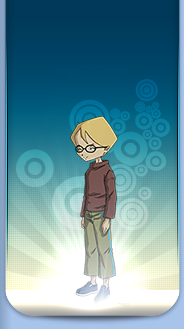 Not far away, Hiroki, who inherited the gadget, abandons it to be crushed on the road, already bored of his new toy. - Attack: Lead two secret agents to the school by framing Jeremy and XANAfy them to destroy the Supercomputer from the real world! - Return to the past to repair the Supercomputer and erase Jim and the principal’s memories. 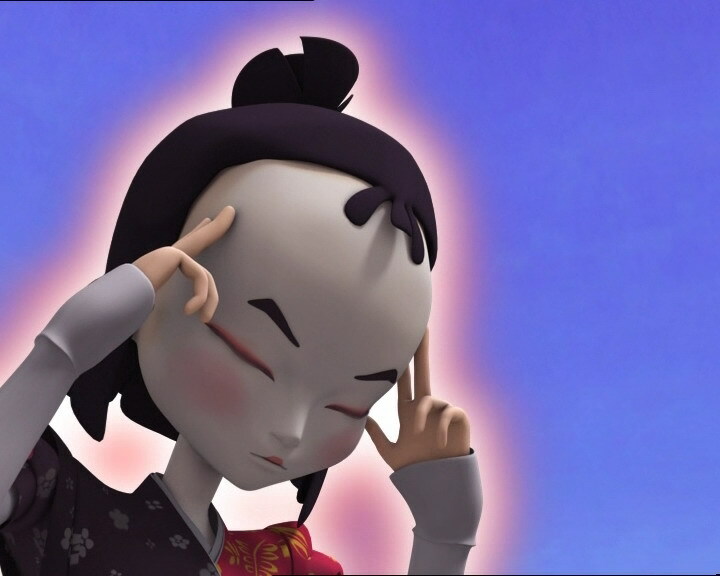 - Second time Yumi lifts a teammate with her telekinesis. - Aelita is the first to have countered and smashed a Megatank laser. Her power is becoming more and more surprising. - Jim worked in the secret service and was a TV cameraman. - Odd plays Tamagotchi. His is named Jean-Pierre, he enjoys the game a lot. - Ulrich is devirtualised by one of Odd’s arrows, it’s the third time in the series the heroes devirtualise one another (with 7 “Image Problem” and 55 “Tidal Wave”). - New appearance of men in black! They’re not the same organisation however as the one who is enemies with Franz, years later, but they do ring a bell. They talk about an ultra-secret organisation, not knowing who they really are and about uranium (like in the Supercomputer’s battery)… Assumptions can therefore be made about the identity of the two men. 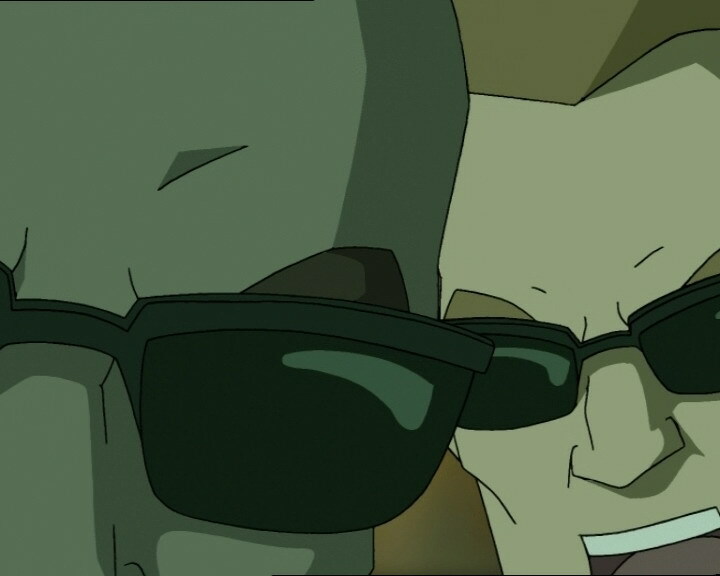 The director Sophie Decroisette has confirmed during an interview with Codelyoko.fr that they’re not the same agents linked to Anthea’s disappearance. - The factory microphone changes often (wired or wireless). - The principal’s eyebrows are grey when Jim says Ulrich and Odd should be in the cafeteria. - The lift door is open before Jim comes to the lab to warn the agent. - The handle of the principal’s office door is on the right instead of the left when the two agents arrive. - Odd’s camera changes between the moment when we see it on the desk and when Ulrich looks at it, and when Odd watches the recording. - The agents’ earbud communicators often change place (left or right ears) and the bald one’s earbud disappears when he rides in the lift with Jim. - The door to Ulrich and Odd’s room is brown when we see Ulrich take the Tamagotchi then becomes grey when he gives it to Jeremy. The handle is on the left instead of the right. 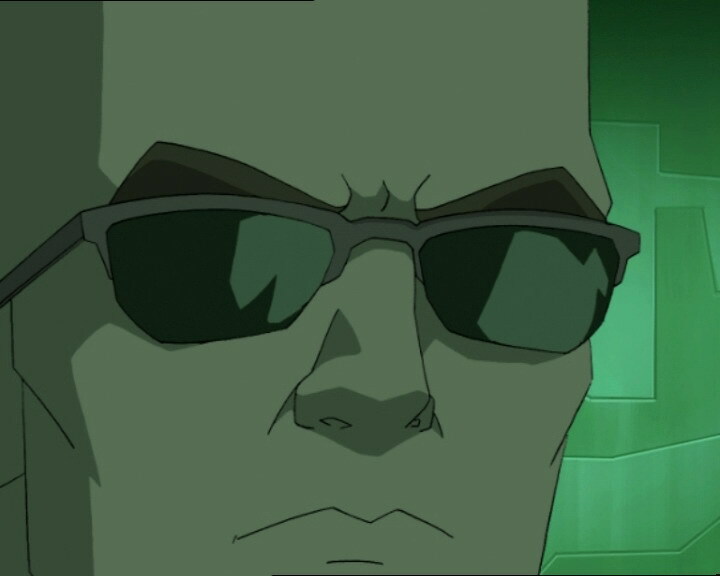 - When Ulrich watches the security camera footage in the Supercomputer room, he sees the agent shooting lightning at the machine, but it’s not the right agent! We see the Caucasian agent who is actually at the school with Jeremy. We should have seen the bald agent! 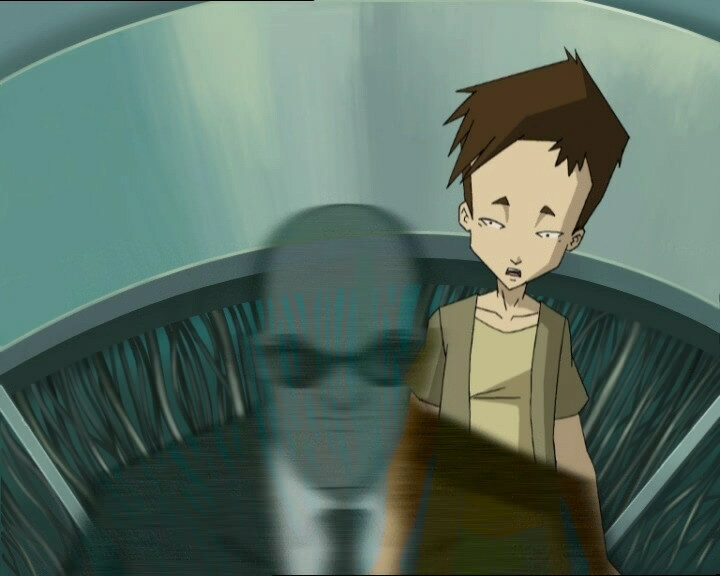 - New tactic by XANA to destroy Lyoko: attacking the Supercomputer directly. 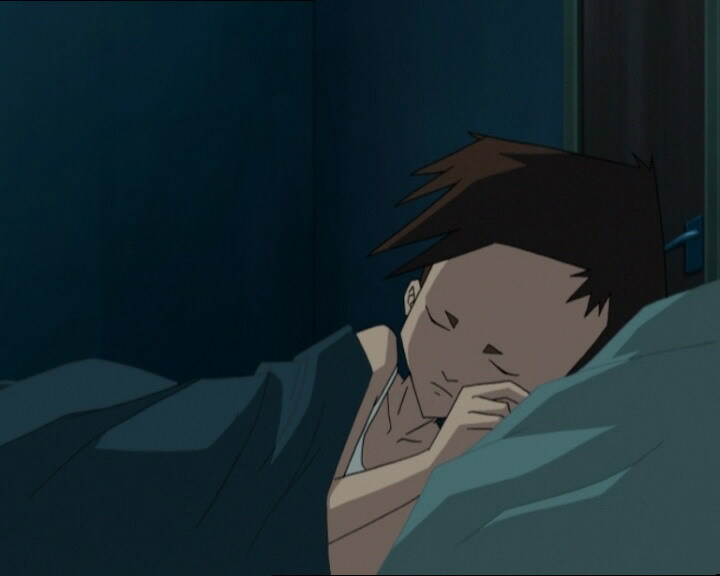 - First time we see the effects of the Supercomputer’s gradual destruction on Lyoko. - First appearance of Megatanks in the Mountain Sector. One of them attacks in a way we’ve never seen before (horizontally)! - Jeremy’s mobile phone number is 162-432! - The co-ordinates of the activated tower are 25° west, 72° south! - When the principal asks Jim what Odd’s dog is doing in his room, he responds that it’s the first he’s seen of it, despite having chased after Kiwi several times and not having the memory erased. He probably said it to cover up for allowing a dog to stay in the dorms, since he never managed to catch the owner or the dog. This is a phrase used often by superstitious people when they break a mirror. The theory of there being bad luck around breaking a mirror has been seen in several different cultures since the mirror was invented, each believing that the mirror can capture part of the soul, and a distorted reflection means corruption of the soul. The seven year timespan comes from the ancient Romans believing the physical body renews itself every seven years, meaning a healthy new soul as well. It’s a disease that originates in sheep and cattle that can be passed on to humans, causing several severe types of illness or skin irritation. Ulrich: Can’t a guy sleep in peace around here? Odd: Don’t you pay attention to him, my little coochy-coo! He’s pretty cool, huh? Ulrich: Hey, are you out of your mind? I don’t want your dumb plastic Jean-Pierre! Odd: Then if…it wasn’t you, then he had to have been kidnapped! Ulrich: I sure hope your piggy bank’s full so you can pay the ransom! Odd: Jean-Pierre’s not any old Tamagotchi virtual pet – he’s only a few months old, he’s very fragile! Would you abandon a helpless baby, Jeremy? Jeremy: If he was just plastic I sure would! Sissi: What do you know, you left your little Tamasushi at home? Sissi: Ooh wow, you must’ve gotten up on the long side of the bed today! Herb: It’s not the long side, Sissi, it’s the wrong side. Sissi: Zip it up right now, Herb! Mr Delmas: And who are you? Agent A: We belong to an ultra high security division of the secret service. The president himself has no idea that we exist. Agent B: Even we, have no idea who we really are. Agent B: The question is: how did he get his hands on it? Who are his contacts? Which terrorist cell is he working for? Agent A: Right, we’ll keep this Jeremy Belpois under tight surveillance. Microphones, cameras, we’re gonna watch him. He doesn’t know it, but we’re gonna use him to break this group. Mr Delmas: But our Jeremy Belpois a terrorist? I can’t believe that…in any event, let me assure you gentlemen of my personal and total co-operation! Jim: You know I might be able to help! I never told you this sir, but I was a secret service agent for a couple of years there. 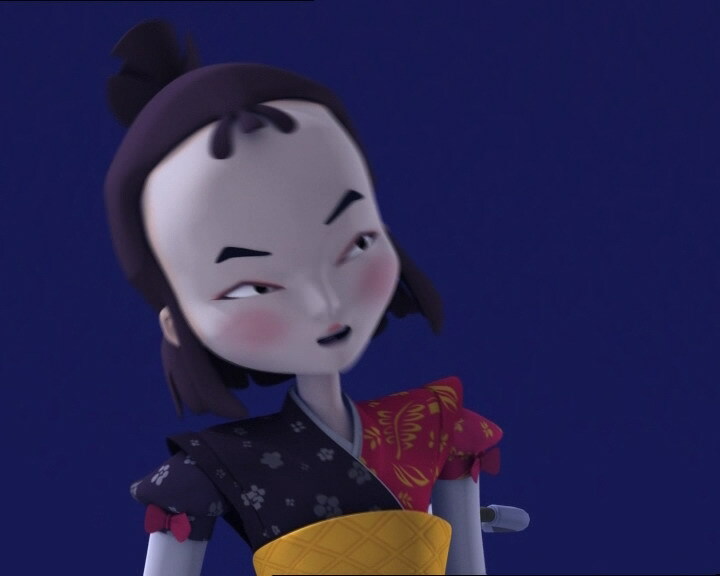 Yumi: You mean the principal?! Ulrich, Aelita and Jeremy: No, the Tamagotchi. Jim: Jim Morales reporting! Audio, video, all mics and cameras discreetly hidden. Agent A: It’s a good thing you weren’t a cameraman for a TV station! Agent A: Where did you put the microphone? Agent A: Well done, right next to a noisy dog. Odd: I’m getting more and more worried, this is serious! Jeremy: Yeah, we know: if we don’t find Jean-Pierre in the next eight hours, it’s the end of the world. Mr Delmas: Did you hear that?! He just said Jean-Pierre, why, that’s my name as well! Agent B: Oh yes, we heard him. Is there anything you’d care to tell us? Jeremy: Hey! Is anything the matter, Jim? Jim: Uh, those darn mosquitoes! Ha! Ulrich: Life is so tough. And since he’s just a piece of plastic with no feelings, he’s blaming you for his misery. Odd: Doesn’t XANA ever take a little lunch break? Jim: Chicken-hawk calling henhouse. The bird has flown the coop. I repeat, flown the coop. Agent A: What kind of gibberish is that? Would you mind speaking normally? Jim: Uh…Belpois and his pals are on the move. Jim: Oh wow, they’re going into the sewers! Hey, do you read me? Agent B: Loud and clear. Odd: Last one there’s a rotten egg! Agent B: Step away from that keyboard! Agent A: You’re under arrest! Ulrich: Fire at me, Odd. Odd: Well, you did make fun of my Tamagotchi, but that’s not much of a reason to zap you, Ulrich. Ulrich: This is no time for jokes. Jim (seeing Ulrich in the scanner): Hey, Stern! I want you to explain to me what all this UFO equipment is doing here! Agent A: Very interesting! Who is this XANA? The guy who recruited Jean-Pierre? Jim: If you don’t I promise you sparks are gonna fly! Ulrich: How should I know? Did you forget how awful at computers I am? Odd: Ulrich! Did you just hit delete or something? Odd: Ohh! Hey! Ever heard of fair play?! Odd: Ok, ok, ok, I take it back! Jim: Honestly I haven’t got the slightest idea of what this junk is used for! What did you say it was for? Ulrich: We didn’t say anything at all. Jim: Hope what’ll work again? Jeremy: Return to the past now…return to the past now! Odd: Oh no, not again! Ulrich: Lost Jean-Pierre again, Odd? Odd: Now we’re gonna see who Jean-Pierre’s kidnapper was! Odd: It was…it was you, Ulrich?! Odd: You’re all a bunch of traitors! The only one I can really trust is Yumi from now on! Odd: No! You too?! But what do you all have against my Jean-Pierre? Ulrich: We did it for your own good, and ours. Because you were starting to get hooked on him. Yumi: Relax Odd, Jean-Pierre is just fine! Believe me, he couldn’t be in better hands!